This is the most recent information about American Breed that has been submitted to amIright. 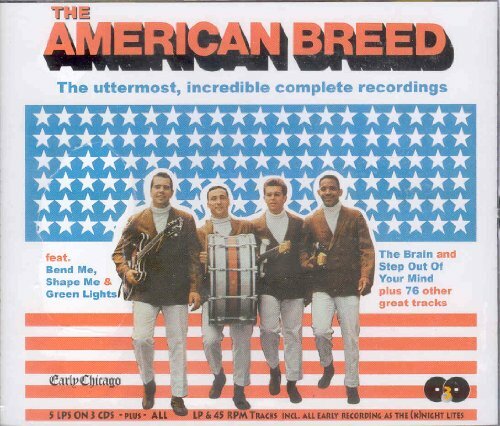 If we have more information about American Breed, then we provide a link to the section where it appears (the actual page whenever possible). "Bed Me, Shape Me" originally "Bend Me, Shape Me"
"End Me, Shape Me" originally "Bend Me, Shape Me"
"Blend Me, Shape Me" originally "Bend Me, Shape Me"
"Band Me, Shape Me" originally "Bend Me, Shape Me"
"Bond Me, Shape Me" originally "Bend Me, Shape Me"
"Bind Me, Shape Me" originally "Bend Me, Shape Me"
"Bend Me, Shame Me" originally "Bend Me, Shape Me"
"Bend Me, Shave Me" originally "Bend Me, Shape Me"
One of the two subleagues of Major League Baseball. Baby, shake it, anyway you want to. Wake me, shake me, anyway you want me. Archie can be a surname. "Mend Me, Shape Bee" originally "Bend Me, Shape Me"
"Mend Bee, Shape Me" originally "Bend Me, Shape Me"